John Holt will always be remembered for his incredible vocal and songwriting abilities, first finding fame as part of the Paragons. John Holt would go on to establish himself as one of the finest artists Jamaica has ever produced, although unfortunately John Holt is no longer with us, his music and talent will live on forever with his timeless work. John Holt was born in the Greenwich Farm area of Kingston, on the 11th of July 1947. He took his first steps into the music industry at a young age on Jamaica’s talent show circuit, competing in his first talent show at age 12. Over the next four years, Holt became a staple of the talent show circuit, winning 28 contests during his time on the circuit, some of which were broadcast on Radio Jamaica. After Holt released his debut single he began working with producer Clive Chin, who recorded the follow up to his debut, ‘Rum Bumper’, a duet with Alton Ellis. More singles followed, but none of them really captured the attention of the Jamaican public. This quickly changed when Holt joined the vocal group ‘The Paragons’. Holt replaced founding member Leroy Stamp. Soon after fellow founding member Junior Menz also left the group with his place being taken by Howard Barrett. The group’s lineup was completed by veteran members Bob Andy and Tyrone Evans, and it was this lineup that recorded ‘Good Luck and Goodbye’ with Coxsone Dodd. Bob Andy left the group after the release of the single to pursue a solo career. Now functioning as a trio, with both Evans and Barrett in full time employment, it was up to Holt to to act as both the composer and arranger for their songs, positions which it would later appear, he was perfectly suited for. Around this time the Ska trend in Jamaica had begun to wither out, with Rocksteady quickly emerging as the popular genre on the ideal, the timing couldn’t have been better for Holt, as Holt’s writing perfectly suited the emerging easy going beat and pop flavour of Rocksteady. Around this time, the trio linked with Duke Reid, who had never been at home with the uptempo beat of ska, but was finding his place in the emerging Rocksteady genre. By 1968, The Paragons were the premier vocal group in Jamaica, with almost every one of their releases being a hit single. Although the group did record covers (notably ‘Island In The Sun’), a lot of their material was composed by Holt. In 1968 Holt was embarked on a parallel solo career, recording for producers Bunny Lee and Harry J. During the rocksteady period between 1966 and 1968, the Paragons released a string of incredibly popular songs in Jamaica, including ‘Ali Baba’, ‘Tonight’, ‘I See Your Face’, ‘The Tide Is High’ and ‘Wear You To The Ball’. In 1969 the Paragons returned to work with Coxsone Dodd where the trio continued their earlier success. 1970, however, saw an abrupt end to the group when Evans and Barrett both left the group after being awarded scholarships in the US. Following the departure of Evans and Barrett, Holt continued his solo career which he had begun whilst still working as part of the Paragons. Holt rapidly increased his musical output, cutting songs for a variety of top producers, including Prince Buster, Duke Reid and Coxsone Dodd. Holt’s work with Dodd was perhaps his boast releasing a slew of hit singles with the producer including, ‘Tonight’, ‘Stranger Love’ and ‘A Love I Can Feel’. ‘A Love I Can Feel’ would go on to be the name of his 1971 album, which compiled many of his hits with Dodd. ‘Like A Bolt’ released that same year, bundles up recordings with Duke Reid. Prince Buster also cut some incredible tracks with Holt including ‘ Rain From The Skies’. Holt also recorded notable singles with Alvin Ranglin, most notably ‘Son of the Wise’. Holt also worked with Bunny Lee during this time, their biggest success came with Holt’s cover of ‘Stick By Me’ which was arranged to take advantage of the latest dance craze in Jamaica, the John Crow. The song remained on the Jamaican for 23 weeks and became the biggest selling single of the year. Amidst a growing number of hit singles was also a number of incredible albums, many of which were picked up for release in the UK by Trojan Records. 1973’s ‘Holt’ and ‘Still In Chains’ both helped to establish himself as one of the biggest artists in Reggae. In 1974 Holt released a further three albums ‘The Further You Look’, ‘Dusty Roads’ and ‘Sings For I’, all of which showcased his incredible skill of writing and performing powerful ballads. It soon became obvious to Trojan Records that a crossover success was in their sights with Holt. Trojan brought Holt to the UK in 1974 and set him to work with top producer Tony Ashfield, who has arranged the strings on ‘Time Is The Master’. The end result was the covers collection ‘1000 Volts of Holt’ which gave Holt his first UK hit ‘Help Me Through The Night’. Inevitably, two follow up albums were produced ‘2000 Volts’ and ‘3000 Volts’ with both of these albums combined on a single disc. Eventually, Holt called it a day and headed home to Jamaica. Holt fully announced his return with 1976’s ‘Up Park Camp’ which includes both superbly re cut classics and equally incredible new records. The album’s title track was an amazing take on the Heptones ‘Get In The Groove’ with new cultural lyrics and set Holt on the path towards dancehall success. For the rest of the decade, Holt continued to make the studio rounds, working with some of the best producers on the island. Holt also reunited with Bunny Lee which again produced a number of incredible singles. Towards the end of the 70s Holt began to lose his grip on his audience, with questionable releases such as ‘Holt Goes Disco’ in 1977, this continued into the 80s with ‘Children of the World’ in 1981 and 1982 with ‘Just The Two Of Us’. It appeared that John Holt was beginning to isolate himself from the rest of the industry as Roots Reggae swept Jamaica, Holt was still focusing on producing pop flavoured love songs, which at the time really weren’t attracting younger listeners. 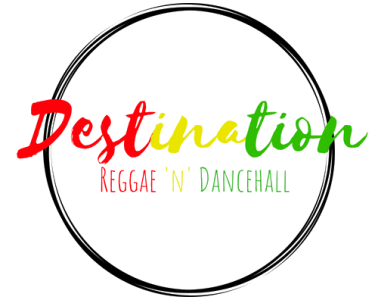 After missing out on the initial impact of the Roots Reggae craze in Jamaica Holt soon set his focus back on the younger generation and to the dancehalls. Holt had always been intrigued with the emerging deejay scene in Jamaica ever since he had attended King Tubby’s soundsystem and witnessed U-Roy toasting over his own classic hit ‘Wear You To The Ball’. Holt immediately introduced U-Roy to Duke Reid, who helped to launch U-Roy to stardom. Linking up with producer Junjo Laws in 1982, Holt recorded a number of dancehall singles across 1982 including the hit ‘Fat She Fat’. This did not prepare Jamaica for the arrival of ‘Police in Helicopter’ the following year. Lawes’ deep roots rhythms partnered Holt’s songwriting perfectly and Holt had now shed his family entertainer image and reinvented himself as a cultural hero. The following year, Holt cut ‘If You Were My Lover’ for Prince Jammy, amongst a number of other recordings. In 1986, Holt teamed up with Dennis Brown for the ‘Wild Fire’ album. During this time both Brown and Holt became involved in a plot by veteran singers to fight the deejay phenomenon that had swept Jamaica by saturating the market with vocal material. The down side to this plan was that over time every one of those involved in the plot would damage this own reputations by releasing too much inferior producer. Holt did suffer from this plot, however, he did release albums that succeeded, including 1986’s ‘The John Holt Christmas Album’ which was split between traditional numbers and covers of rock’s festive best from the likes of Slade, Mud, John Lennon and George Michael. 1989’s ‘Why I Care’ found Holt back in the dancehall with Hugh ‘Redman’ James’. 1993 saw Holt expand his musical horizons on a Reggae Hip House R&B fusion, whilst many elements of this fusion didn’t work it still remains an interesting concept. In 2004 John Holt was awarded the Order of Distinction (Commander Class) by the Jamaican government for his services to music. Sadly Holt passed away in October 2014, performing until the very end, having been taken ill during his performance at the One Love Festival in the UK in August 2014 before passing away 2 months later in London. John Holt is yet another reggae icon that is massively under appreciated outside of the genre. Although he is no longer with us his incredible voice with live on forever within the phenomenal songs he recorded both during his solo career and his time with the Pargons. John Holt is a true icon in reggae and will always be remembered for his incredibly powerful and soulful ballads he recorded and wrote throughout his career.